In loving memory of my husband. Donald F Mackay' died at 4 Westend Lybster 27th March 1959. 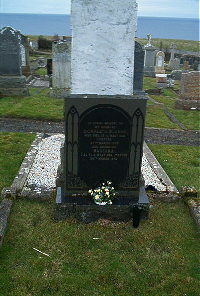 Daughter Barbara Mackay died at 4 Westend Lybster 28th March 1947.